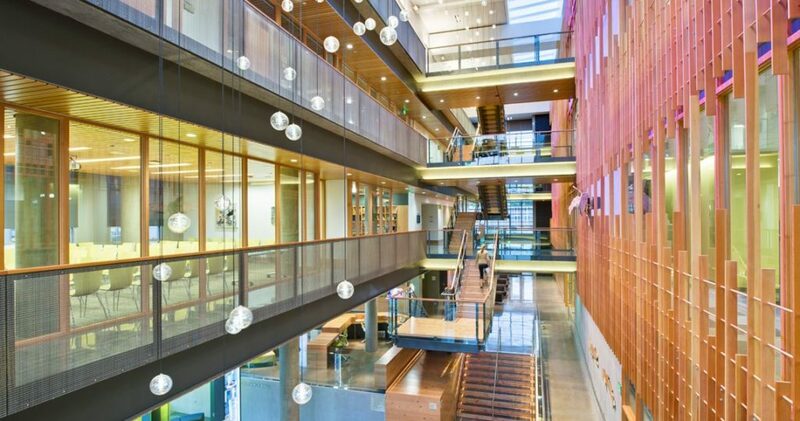 The beautiful Ford Alumni Center at the University of Oregon in Eugene will be the venue for this year's Oregon cybersecurity event. University of Oregon will be hosting leading cybersecurity experts from the Department of Homeland Security, academia, private industry, the Oregon Cybersecurity Advisory Council and Cyber Oregon who will discuss trends, challenges and opportunities impacting computer security on national and state levels during the 2018 Oregon Cybersecurity Day, on Monday, April 23, at the Ford Alumni Center on the university’s campus in Eugene. Organized by the University of Oregon’s Center for Cyber Security and Privacy and the Department of Computer and Information Science, the annual event, now in its eighth year, brings together computer and data security professionals from private industry government and academia to share information and strategies for securing systems and data. Representing the federal Department of Homeland Security’s cybersecurity program, Erin Kenneally, program manager in the DHS’ cybersecurity division, will kick off the day with a look at the latest security mechanisms and innovations within the federal government. She will introduce two programs: IMPACT for global information sharing for cyber risk research and development in government, education and industry, and CyRiE, the Cyber Risk Economic program for measuring and evaluating the economic costs of hacks and breaches. At the state level, Charlie Kawasaki, vice chair of the Oregon Cybersecurity Advisory Council (OCAC) and CTO of PacStar, will give an overview of the state of cybersecurity in Oregon. He will focus on the need to create a larger workforce of trained cybersecurity professionals through programs to build workforce skills, disseminate best practices, facilitate cybersecurity research and encourage industry investment and partnership with post-secondary schools and other career readiness programs. In addition, he will give an update on the OCAC’s activities to help the State of Oregon plan for a Cybersecurity Center of Excellence and OCAC’s ongoing activities. As time allows, he will also give a brief update on the State of Oregon’s high-speed, broadband initiative OregonFIBER and opportunities related to that multi-year project. During the event, a panel of cybersecurity experts will discuss cybersecurity trends, threats and predictions for 2018 and beyond. Panelists include: Dennis Tomlin, OCAC member and CISO for Multnomah County; Andrew Plato, OCAC member and CEO of Anitian; Michael Gutsche, OCAC member and security strategist at Micro Focus International; Steve Povolny, head of advanced threat research at McAfee; and Leo Howell, CISO at the University of Oregon. Additional talks will highlight internet reliability and security; digital sensors and security risks for devices that use them such as autonomous cars, medical devices and the Internet of Things; and ways to thwart hacks before they happen through mining social media and analyzing malware.